TORONTO, September 7, 2018 — Three Alberta accounting firms in Calgary, Red Deer and Edmonton are joining RSM Canada with transactions expected to close by early November 2018, pending final regulatory approvals and customary closing conditions. 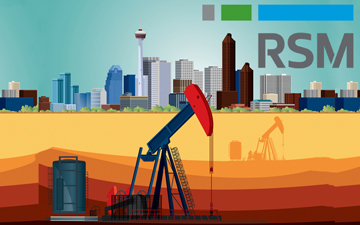 The merger will establish the presence of RSM Canada in Alberta and Western Canada, with offices in the three locations, and a team that includes a combined total of 29 partners and more than 200 professionals, who serve nearly 11,000 clients in Alberta and beyond. "We’re excited to welcome these three outstanding firms to RSM Canada,” said Harry Blum, managing partner, RSM Canada. “These offices bring talented people, solid experience and complementary knowledge and services that reinforce RSM Canada’s position as the leading audit, tax and consulting firm focused on serving middle market clients in Canada and beyond. We launched RSM Canada with RSM US LLP in 2017 with the goal of establishing a strong global brand throughout Canada." As reported by Canadian Accountant in December 2017, RSM International launched RSM Canada less than one year ago, after acquiring the Toronto member firm of an established Canadian mid-tier accounting brand. Western Canada is the base of homegrown MNP LLP, the fifth largest Canadian accounting firm as measured by revenue in 2016. As part of RSM Canada, the new offices in Alberta will benefit from access to more than 43,000 professionals in over 120 countries around the world and a close working relationship with the firm’s nearest neighbour, RSM US LLP in the United States. "The offices and RSM professionals in the U.S. are pleased to align ourselves with these distinguished firms,” said Joe Adams, managing partner and CEO, RSM US LLP. “The keen insights their teams have in their local markets and in key industries such as oil and gas, real estate, agriculture, government, manufacturing and retail complement ours, and strengthen RSM’s ability to support our substantial client base throughout North America and to offer exciting new opportunities in this important economy for clients in the U.S. and around the world." “This is great news for middle market businesses in Alberta," says Douglas Kroetsch, managing partner, Edmonton. "We have known and greatly respected the leaders and teams in Calgary, Red Deer and Toronto for many years. The opportunity to work together to serve our clients, with the support and teamwork of RSM US — the largest member in the RSM International network with offices in 85 cities across the U.S. — enhances our ability to deliver holistic solutions and global resources as first-choice advisors. At the same time, we’ll enhance our commitment to our local communities while maintaining our local touch and culture, as well as the personalized service that has made us successful." 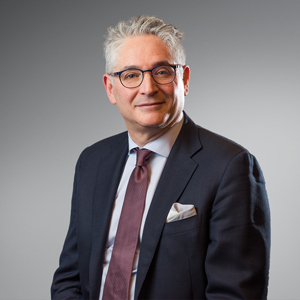 According to David Hird, managing partner, Calgary, "It’s an incredible opportunity not only for our clients and communities, but also for our people and for our ability to continue attracting top talent. As part of a global network, we can offer exciting growth and training opportunities, the latest technology and tools, and the chance to work with and benefit from the experience and knowledge of others throughout the province, Canada and the world." Rob Kolton, managing partner, Red Deer, echoes that sentiment. "All three of our firms are pleased to take this important growth step with RSM Canada. Our firms share the same values and the same commitment to providing outstanding client service. We’ve been looking for the right opportunity to offer our clients additional services through a global brand, and we’re excited that our people and clients will have access to added resources in Alberta, throughout Canada and the U.S., and in other countries as more and more of our clients conduct business internationally." With files provided by press release from RSM Canada.